Recognising a need for more consistent and systematic focus given to how arts interventions produce effective social and health outcomes, this short paper explores two challenges. 1. How to describe the changes that arts experiences achieve, which does justice to their power and richness. 2. How to understand what is going on in an arts experience. 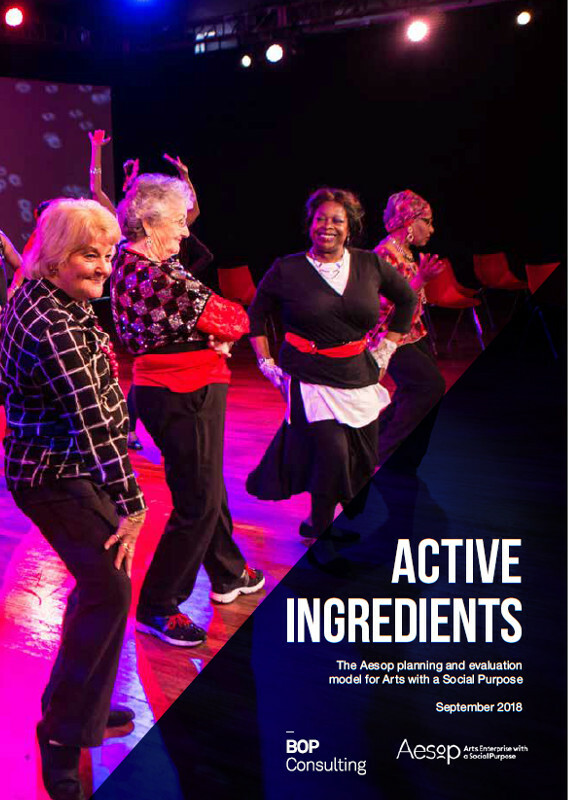 Using the metaphor of ‘active ingredients’ it suggests a ‘logic model’ and how this could be applied more widely to arts interventions in social settings. An international consultancy with a 20-year track record of working in the cultural and creative economy. Working with clients including government bodies, leading arts and cultural organisations, property developers and international agencies; BOP's rigorous and effective research translates into guidance and recommendations that help deliver better projects or programmes.